SocialBostonSports.com – It’s not just sports! If you are up for some athletics, you’ll find everything from dodgeball to soccer, with short leagues sorted by skill level. But in addition to that, SBS hosts fun social events like beach parties and bar nights, plus adventure trips (mainly whitewater rafting and skiing). This is a go-to group for active, social people open to new friends. Meetup.com – Whether you’re interested in roleplaying games, knitting, history, art, or urban exploration, Meetup is a great resource for finding friends who share a niche interest. There are also a bunch of general social groups, and many aimed at specific age ranges to help you meet people in Boston at the same life stage. 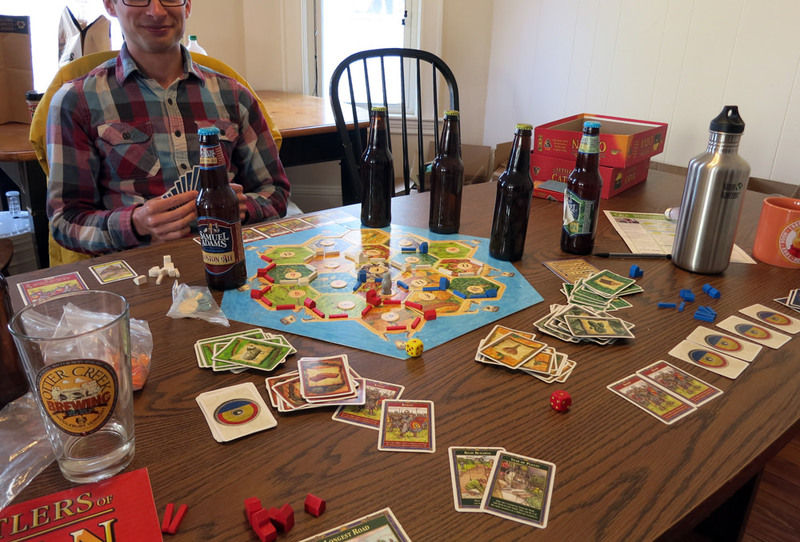 /r/BostonSocialClub – This is a great spot to find board game nights, movie outings (with a social dinner beforehand or drinks after), cool events with a group gathering to attend, and impromptu fun. If you’re looking for friends in Boston, this is a fun, open, often geeky-in-the-best-way community to find them in. They also have a Facebook group (but do spend some time on reddit if you’re going to join this, otherwise what’s your point of connection? ), and for the power-social-ers, an always-running Messenger chat for checking who’s around for a beer or a bite. Take a class – There are cheap, quick (single evenings, once a weeks), and interesting classes that can be a great way to meet people. Check out General Assembly, browse the classes section on Craigslist, and check the Boston Center for Adult Education. Look for something where you’ll want to trade tips with people, where you’ll need to practice with others, or where you’ll be working on group projects. It’s easy to make friends when you’re working together. Volunteer – I have a whole other post on places to volunteer in Boston — check it out, and use those resources to find social volunteering opportunities. Organizations that use volunteers want to help you find friends because it keeps you coming back, so ask their organizer to introduce you to people. Be a regular – With any of the above, try to do them repeatedly. Regular members of a group don’t always open up to new people right away because hey, they might never see them again. If you’re a familiar face, people are much more likely to make an effort to include you. Take the lead – One of the very best options is to organize something yourself! Whether it’s an event or a tour or a night out or frisbee in the park, create a Facebook event or Craigslist post or Meetup group and spread the word: tweet, put up flyers, post on local mailing lists, and post on /r/BostonSocialClub (linked above). You’ll be doing something you like (I hope; you’re the one choosing it after all!) and being the host is a guaranteed way to make connections. And if you’re looking for ideas on things to do with your new friends, I hope you’ll check out some of the ideas featured on What To Do Boston.